Have you ever thought about moving the UK? Never been before? Or just been on holiday? Or are you living in the UK and you’re thinking about moving back to South Africa? Have you considered living in UK vs SA – the differences? Will you be able to adapt back to life in South Africa? Is it different to when you left 2, 5 or 15 years ago? Well, I am going to tell you the differences I have noticed. Last year my (British) husband and I planned to go to South Africa for 4 months to have a website (www.TheRoomLink.co.za) built for the UK market, but instead we launched it in South Africa where there is a much bigger need. I digress, I ended up staying in South Africa for a lot longer than planned, and will continue to do so for most for 2014 at least. 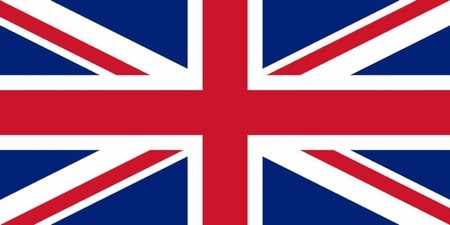 Anyhow, 10 days ago I came to the UK to see my husband and work from the UK for a month, and as I arrived back, I was suddenly and acutely made aware of the differences between the 2 countries. Because, once you’re back and you get back into your old routine, those difference fade and become normality. Safety & Security – this must be the biggest difference by far. In the UK, you never fear for your life. You don’t check your review mirrors constantly when driving. You don’t feel like you have to say a prayer to get you to the other end safely. It doesn’t matter if your doors don’t lock automatically. Health and safety – in the UK. health and safety has gone mad, in SA it might be a bit lax. “At your own risk” signs don’t exist in the UK, you can always get sued. In SA, when there’s a road accident, they close the lane, in the UK they close the road. The UK is a litigious society – operate without insurance and they’ll sue the pants off you. A good example below: This was at a recent university rugby match in Pretoria, South Africa. In the UK they would never have allowed the game to be played, due to the risk of drowning! Weather – Of course this is the biggest visible difference between the countries. In the UK the weather is pretty grim, grey and awful most of the time, whereas in South Africa it’s sunny, warm and lovely! The UK doesn’t get thunderstorms like SA does … and blue skies are rare. South Africa is much warmer. A warm summer’s day in Manchester would be 24C, whereas it gets warmer than that on most winter days in South Africa! When it does get cold in SA, there is no way to really warm up, but in the UK all houses are heated – and most of them have gas central heating. 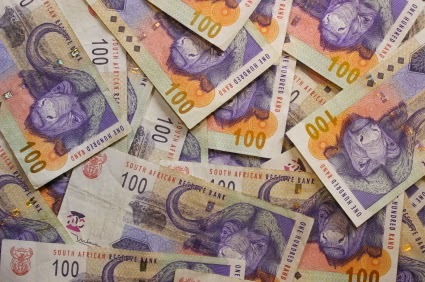 Salaries – South Africa is a much cheaper country to live in, but salaries are much lower – especially at the low end. The high end is pretty much the same. In the UK, minimum wage is £7.65 (R136) or about £13,000 (R230,000) per year. In the UK, the difference is 4-8 times. which makes the UK a far more equal society. Service – because labour is cheap in South Africa, it makes good service more affordable. In SA most companies would have a resident cleaner / tea maker in spite of them not being fully occupied all day. In the UK, either the staff clean up after themselves, or a cleaning service will come in for an hour before opening time to do quick vacuuming, dusting and emptying of rubbish bins. Cleaners / domestic workers are commonplace in South Africa, but rare in the UK. Only the richest people could afford someone full time! In the UK, the poor, disabled and ill are all the government’s responsibility. People care about their immediate friends and family of course, but not really about strangers in need. about every second day, a man called Eric comes to my parents’ gates to ask for food. And my mum feeds him. And has promised him she’ll always feed him when he’s hungry. every month my dad pays the rent for a man called Theology who begs at the traffic light near their home. Traffic – the UK is generally one big traffic jam. Always. In the UK people drive better than South Africans, and there are less accidents, but part of that is because all the roads are congested and narrow, and even short journeys can take very long. In South Africa, traffic jams are rare. They exist, but people are so used to having an open road where you can drive at (or above!) the speed limit, that when it comes to a halt, they notice it much more. In the UK it is just the reality of life. The rush hour, even in smaller towns and villages, cans get pretty awful. And add a bit of rain, snow or mist, and everything literally grinds to a halt. Quality of life – again, I think South Africa wins hands down here. And this is one of the primary reasons why people who have moved abroad, return to South Africa. People don’t work such long hours in SA as they do in the UK. And they spend far more time with friends and family. Life is less rushed. Less people commute. Kids can be kids – they are encouraged to explore, try things, play. Like it was in the ‘old days’ in the UK. Health and safety doesn’t come in the way of fun. South Africans are less materialistic. They value relationships, experiences and more and are willing to settle for less. In the UK, keeping up with the Joneses drives many families, and things become so important. Law, order & corruption – there is a very big difference here. In the UK, people are overall very law abiding. They stick to speed limits, don’t drink and drive, pay their taxes, don’t user mobile/cell phones whilst driving and generally abide by the laws of the country. In South Africa, people always try and see how much they can get away with without being caught. 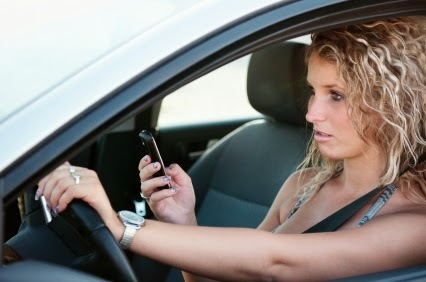 Most people speed, drink and drive, use mobile/cell phones whilst driving. Some pay their taxes, but even politicians don’t pay their taxes and are often sued. In the UK there are average speed cameras at all roadworks where you can only drive at 50mph (about 80km/hr). If you speed you get a ticket, and 3 points on your licence. At 12 points you lose your licence. In South Africa, everyone drives as fast as they can through the roadworks without getting caught! Corruption is rife in South Africa, right from the top (including the President, with his ‘security upgrade’ that cost the country R200m) all the way to the bottom (many traffic cops or policemen will take bribes when they pull you over). In the UK, if a politician is found to be corrupt, the people will demand his resignation – and generally they will resign. And the corruption is generally at a far lower level than in South Africa – let’s call it ‘petty corruption’. Fashion – people are very fashion and brand conscious. Every young girl will have a pair of GHD hair straighteners in the UK – and they will ALL straighten their hair daily. UK girls wear lots of make-up from a very young age, which means that most girls just look like clones – nothing to make them individual: same hair, same clothes, same make-up! Many people in the UK need to have the latest phone, latest clothes, biggest television … and all a famous brand. People don’t blink to spend £500 (R8 800) on a handbag, which they’ll put on their credit card and have to pay off. I am pleased to say that in South Africa, people are more individual. International brands are less important (but a nice to have), and people, young and old, are less slaves to fashion. Online shopping is huge in the UK and getting bigger and bigger. In South Africa it is very much in its infancy. Self-checkouts are available at most grocery shops. You ring up your goods yourself. If you cheat, an alarm goes off when you leave or won’t let you pay. It’s simply just too expensive to employ people on the tills! In South Africa, you still get personal service. Someone will even pack your groceries for you, and sometimes take them out to your car for you. Fruit shopping is still seasonal in South Africa. In the UK, because everything is imported, everything is available all year round. Sounds nice, but it also means that almost all fruit is sold green … and never really gets juicy, tasty and properly ripe! 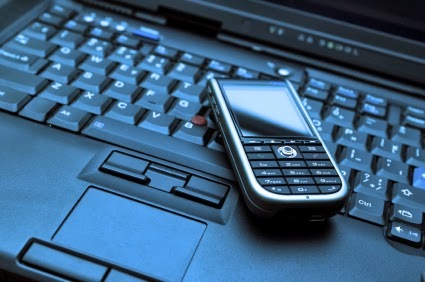 Internet – in short, South Africa as slow internet speeds which costs a fortune, where the UK has super fast internet, most households have wifi, which is all very affordable. Streaming of TV programmes via the internet is huge in the UK, and is not yet available in South Africa. This is primarily due to the speed and cost of the internet, as well as the fact that South Africa has not yet switched to digital TV. House prices – so are people well off in the UK? Yes and no. House prices are part of the reason. In the UK, the average home costs £168,500 (R3 000 000) and rising. The average home in South Africa is bigger and comes with more land. In the UK, people use a larger vocabulary than in South Africa. South Africans are lazy in the way they speak and describe things. 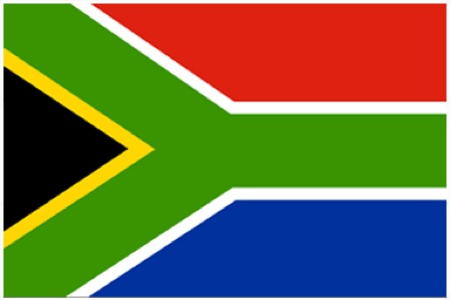 In South Africa, most South Africans holiday in South Africa as there is so much choice. In the UK they go abroad, mostly to Spain, to try and find some sunshine. In the UK, child care is so expensive that people can’t afford it – which means they have to rely on grandparents to take an active role in helping raise their kids. In South Africa, you generally employ someone to help with your DIY and jobs fixing your house, in the UK it’s too expensive so most people have a go themselves! The process of selling a house in the UK is archaic and many deals collapse because the deal’s not done until you finally move in. South Africa’s laws protect sellers and buyers much more. In South Africa, when you see roadworks, there are normally 2 people working, 6 people watching and one person waving a flag! In there UK, there will be 3 people working and a temporary traffic light to alert and top cars. I have realised that I could go on and on, but I think I have covered most if the big differences above. So where is the best place to live? Well, like my husband always reminds me: if, for example, Manchester had Pretoria’s weather, everyone in the world would want to live here, because it would be the best place on earth! I love both countries equally. I was born in South Africa, my whole family is in South Africa, but I have also lived in the UK for almost 16 years. My ideal is to live between the countries – have the best of both! If you’re considering a move back to South Africa, you might want to register on TheRoomLink.co.za – the safer way to find accommodation for singles and couples. If you think I have left out many differences from above, please add them to the comments below.